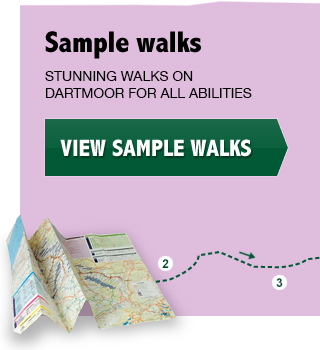 Dartmoor Walks This Way organised a fundraising walk for Devon Wildlife Trust in early August. 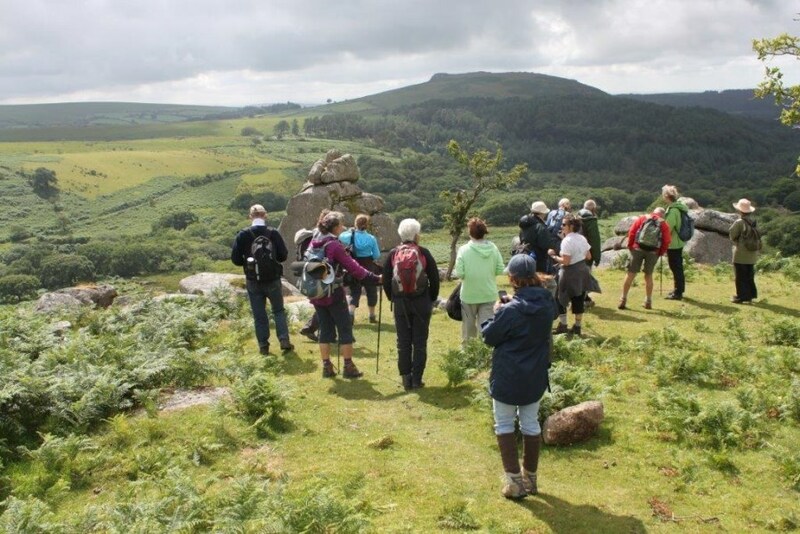 The opportunity to explore the fascinating Drizzlecombe/Down Tor area of southern Dartmoor in the company of Earth Pilgrim, Satish Kumar, and at the same time to contribute to the vital work of Devon Wildlife Trust, was a popular one. The walk, limited to 14 participants, had been booked out well in advance. We gathered at Gutter Tor car park on a mild and breezy morning with big grey clouds speeding overhead, and headed off first towards Ditsworthy Warren. After pausing to inspect the farmhouse and associated warrening remains – particularly the impressive kennel court – we walked up the combe to the complex of Bronze Age remains, spread out along the hillside in the Upper Plym valley. 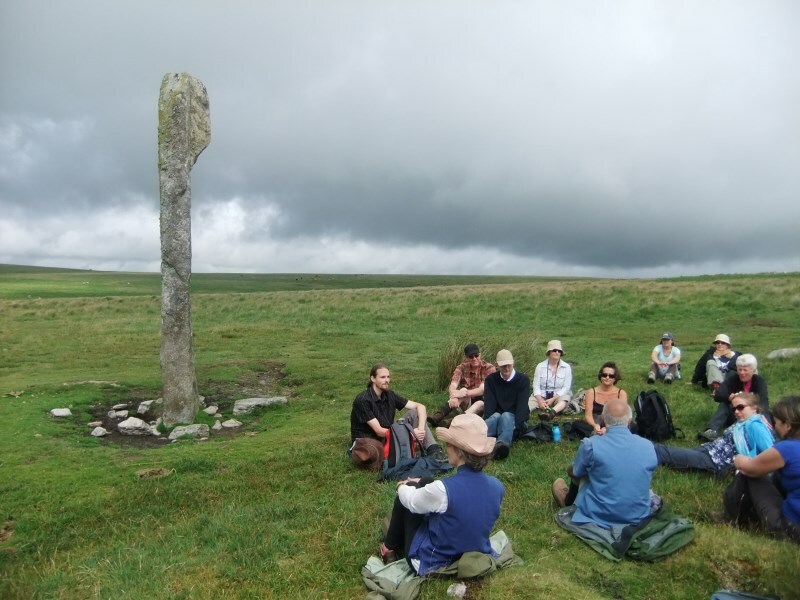 It’s a magical spot and we sat for a while around the tallest menhir (standing stone) on Dartmoor with its imposing and unusual shape. It’s said that on the shortest day, the stone casts its shadow directly along the stone row which it heads. Satish talked about how culture should be connected to and in harmony with the land, whereas modern “civilisation” has become centred around urban life and has lost sight of the natural world which nurtures us all. 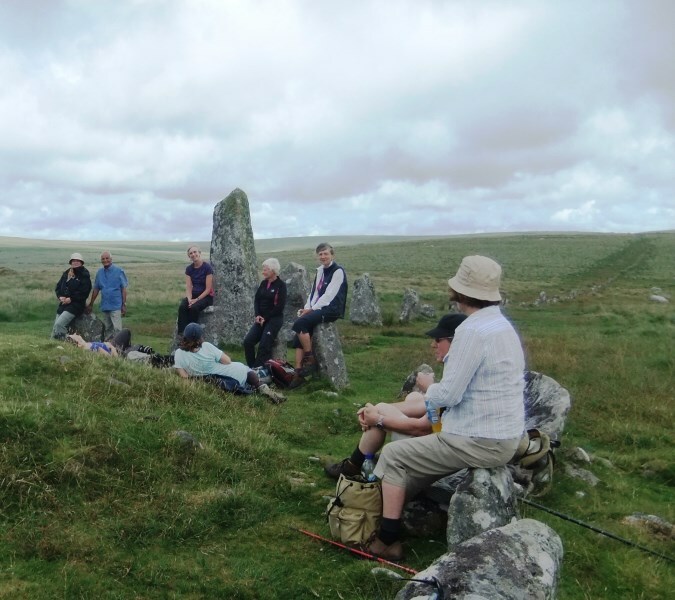 It’s this connection with nature which draws walkers out onto the wild expanses of Dartmoor. 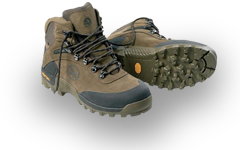 Although the landscape has been shaped by humanity over millennia – hunting, farming, mining, worshipping, burying their dead, grazing animals, digging peat, channelling water, quarrying and now walking, riding and cycling – one still feels put in one’s proper place when up on the high moor: part of nature, but by no means in charge. We continued the walk past the many remains of Eylesburrow Mine and cut across the hill, over tussocks and around a mire, then through a massive gert (where the stream had been dug out by tin miners to create a wide gully) to Down Tor stone row. This is an impressive monument with few visitors and we sat together inside the circle of stones at the western end while Satish led us in a beautiful guided meditation. The remainder of the walk took us into gentler lowland country. We walked down Combeshead Tor, visiting Cuckoo Rock and the Potato Cave on the way, then wound our way through ruined farm enclosures now filled with bracken and crumbling stone walls. It’s been over a century since the farmers were moved off the land to make it “hygienic” for Burrator reservoir downstream, but one can still feel their presence. We crossed the Narrator brook on an old clapper bridge and walked back to Gutter Tor over Sheepstor Common. It had been a lovely day, perfect walking weather with a light breeze, a little sunshine and spectacular clouds. Thank you to everyone who came, and particularly to Satish for giving his time.